This little number started as dress for Aadya,last April. I think,I was being over-ambitious in thinking,I will knit a dress for her…I started knitting,went half way through the back..This was my travelling project..I would knit it only while travelling. Now,almost a year later,I still hand’t finished even the back..I got tired of seeing it on my needles.I was going to rip it off..but the thought of ripping off a year’s labour(lol ok..may be not) saddenned me.So,I decided to turn it into a bag. I binded it off and had a finished rectangle.I folded it half,length-wise and sewed the edges,to make a bag. Then I picked up the stitches,from a row,2 rows down from the bind off edge..and knitted the flap. 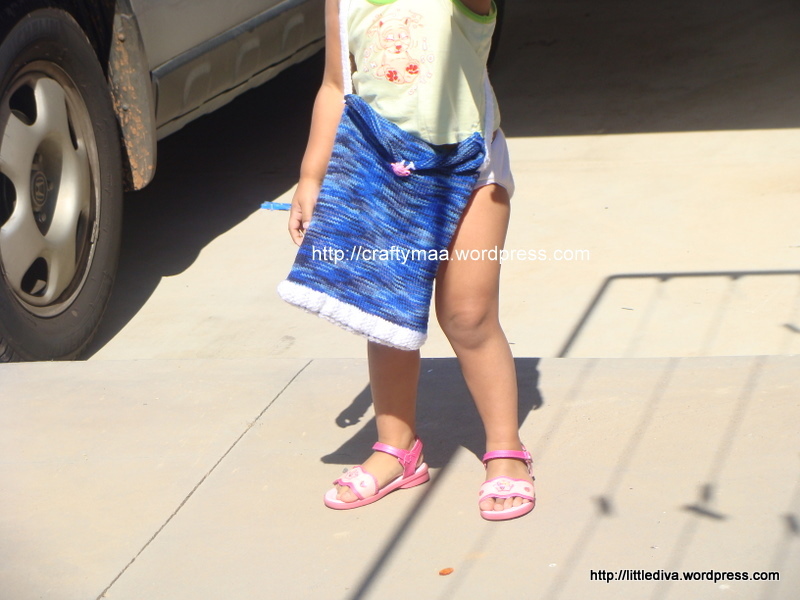 For the strap-I made a crochet strap..6-dc wide..
Aadi chose a pink tea-pot button and the bag is ready. 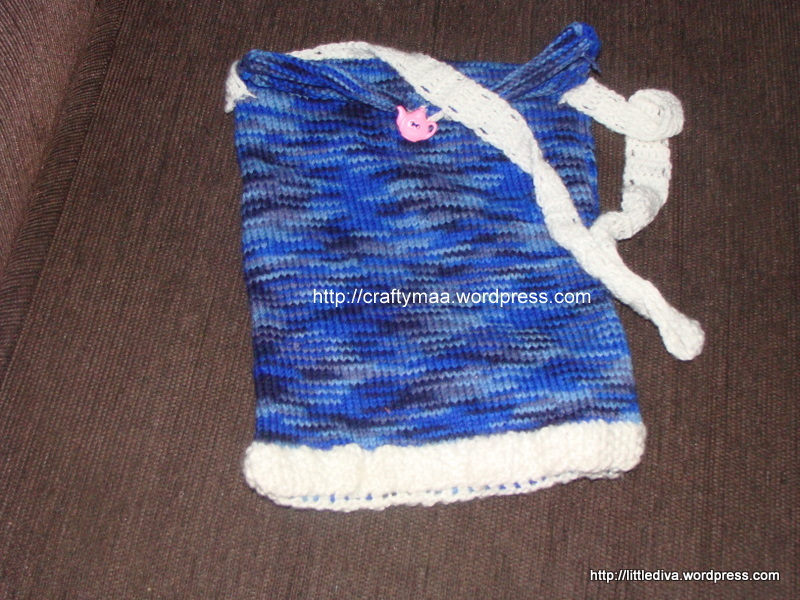 This is the first bag that I knitted and I am so kicked.